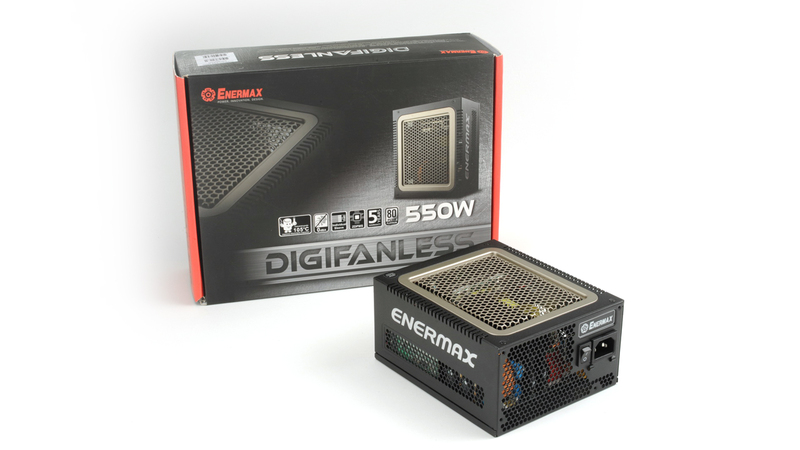 The DIGIFANLESS 550 Watt is the first digital and fanless power supply from Enermax. 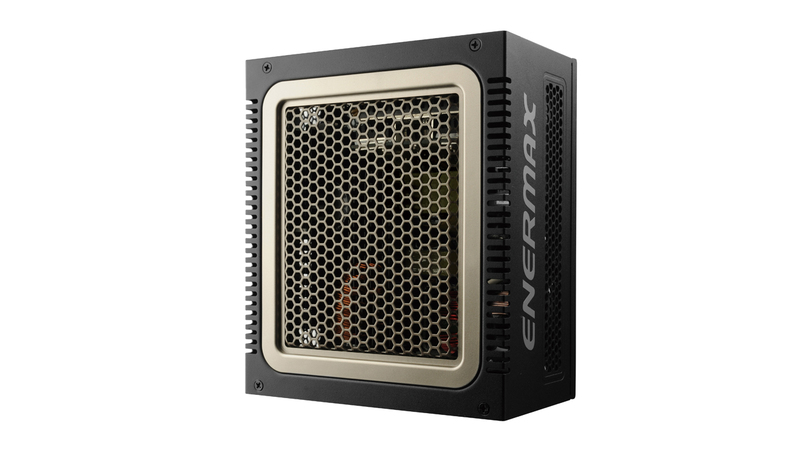 Its powerful passive cooling system allows a completely silent operation with 0 dB(A). State-of-the-art technologies and long-lasting quality components ensure extremely stable and energy saving operation with up to 93% efficiency (80PLUS® Platinum). 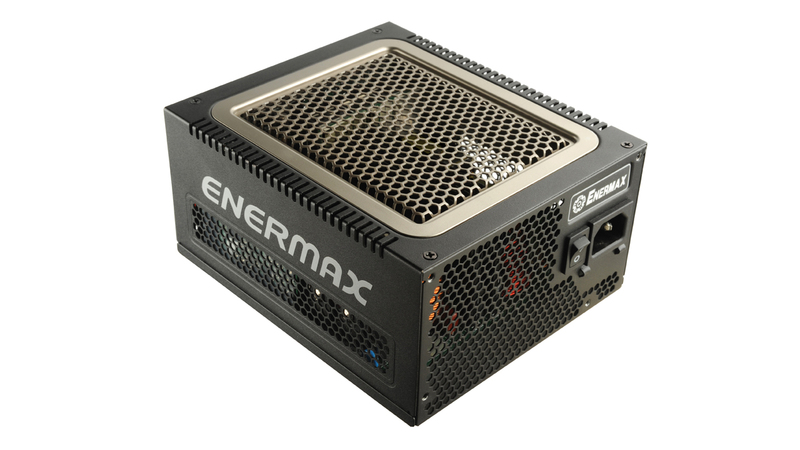 The power supply has a digital interface for reading and controlling central power values (e.g. 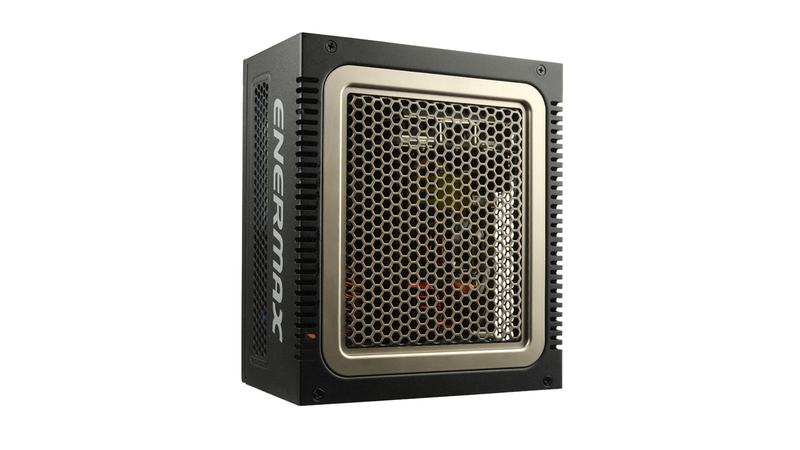 voltage, efficiency or temperature) via the new ZDPMS software from Enermax. 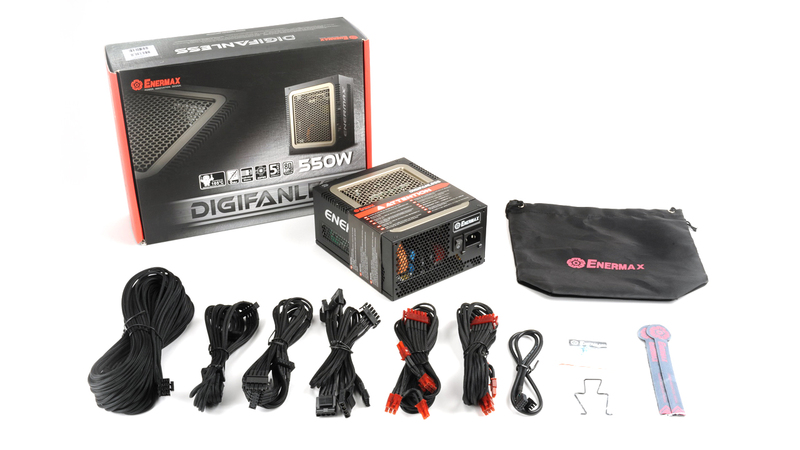 The fully modular cable management with the individually sleeved cables offers the greatest possible comfort during the system build. 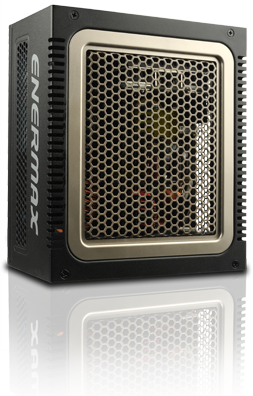 Up to 93% efficiency at 230VAC between 20 and 100% load. 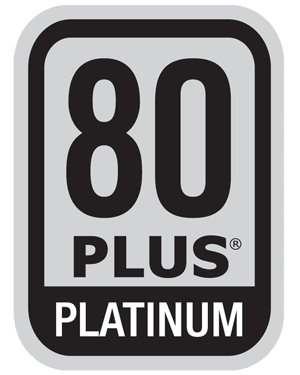 DIGIFANLESS is 80PLUS® Platinum certified. 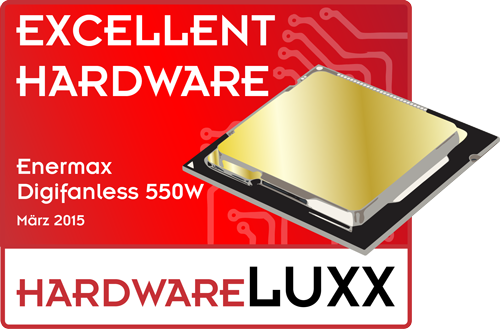 DIGIFANLESS helps systems to meet the EU eco-design directive 2013 ErP Lot 6 and 2014 ErP Lot 3 (< 0.5W in standby mode*) due to a high-efficient 5V standby (+5Vsb) circuitry. Moreover it supports the EU regulation no. 617/2013 demanding amongst others 85% efficiency at 50% load and 82% at 20% and 100% load. DIGIFANLESS supplies secure and stable power thanks to two massive 12V rails with separate over-current protection (OCP). Optional the rails can be switch to single-rail operation via the ZDPMS software to run PC systems with high performance or overclocked graphics cards and CPUs. The Copper Bridge Array is an innovative and patented transmission technology for direct voltage transmission to reduce the wire-resistance and to increase the efficiency. Optimized air circulation due to clear and spacious PCB design. The black cables are individually sleeved, which gives them a high-end look. In addition, they are flatter and more flexible than conventionally sleeved cables and can therefore be laid better behind the cladding. 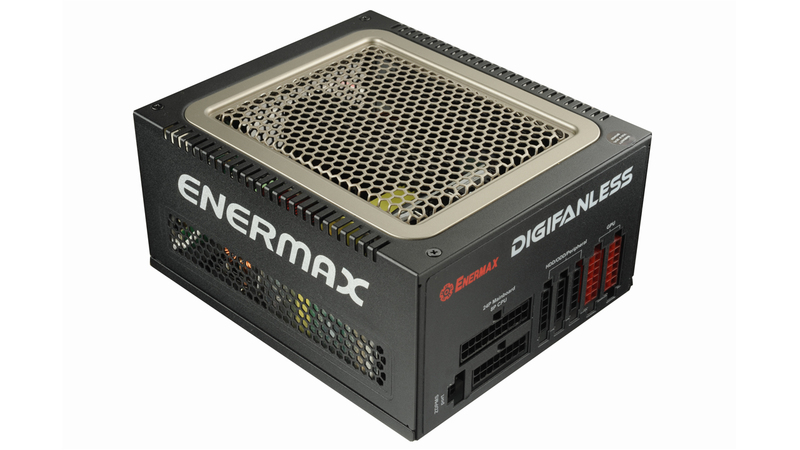 The sophisticated passive cooling system of the DIGIFANLESS power supply guarantees a completely silent operation (0db(A)). 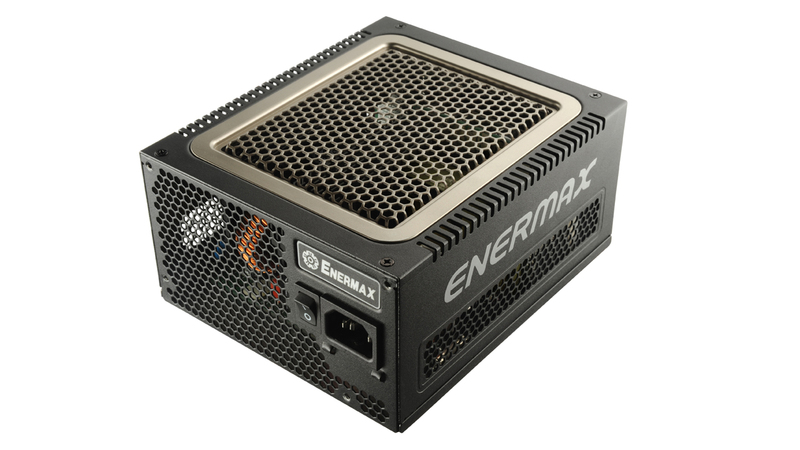 The PSU is therefore the first choice for all silent PCs, multimedia stations or HTPCs. 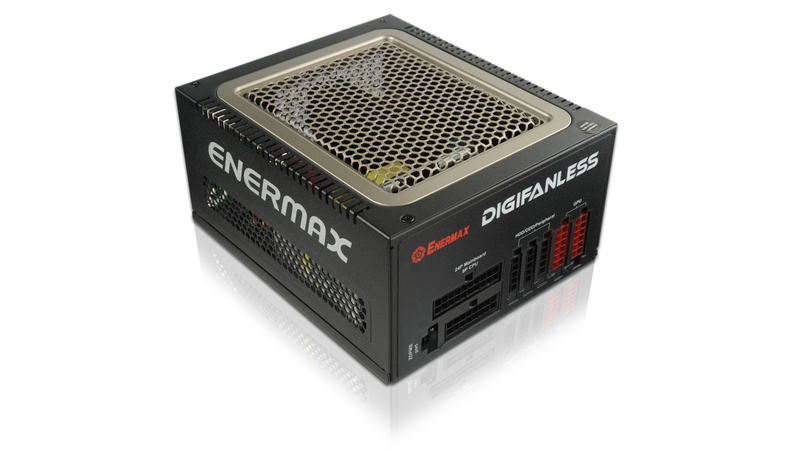 DIGIFANLESS is equipped with a digital interface to transmit and control the most essential performance values. With the ZDPMS software (“Zero-Delay Power Monitoring System”) users can easily monitor the power supply operation and customize certain functions, eg. switch between multi- or single-rail mode, fine tune the 12V output voltage or set the trigger points for OCP/OVP warning messages. More information about the various function of the ZDPMS software you can find in the ZDPMS manual. 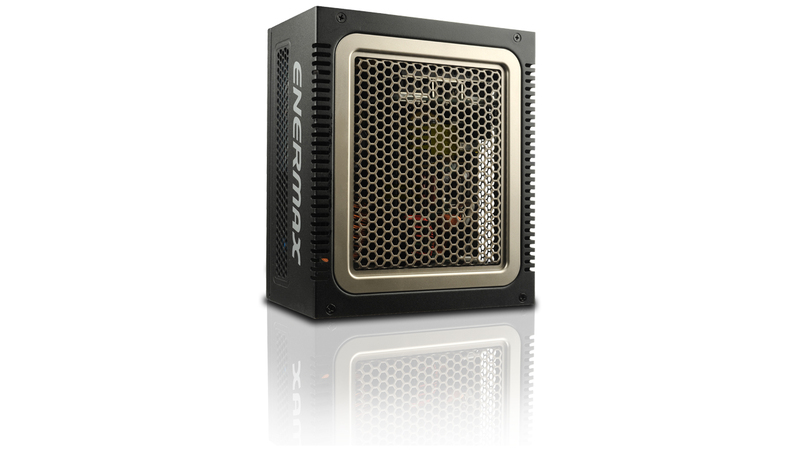 Non-Stop 24/7 industrial class performance at 40°C ambient temperature.